Creating cascading pathways and colorful flower beds is a way to spruce up a home and provide an inviting feel to the space. No matter what size space you have to work with, you can create an easy-care garden that extends your outdoor living. There are dozens of low-maintenance yet showy flowers and plants to choose from when landscaping. Find species native to your area to keep watering to a minimum but without sacrificing beauty. 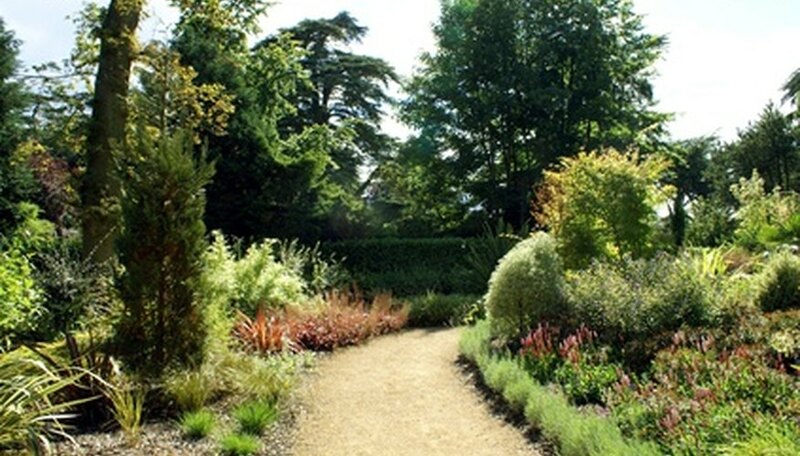 Garden paths are an ideal way to create easy access around the landscape of a home. Paths can be created in a wide range of materials, including crushed rock, stones like flagstone and slate, and brick. You can even use mulch to create your own path. An easy and low-maintenance path can be made with small pebbles or crushed rock. Easy to maintain, a pebble path creates an inviting addition to the landscape. Spread the pebbles out as wide as you wish. For gardening, allow enough room for a compost bin or wheelbarrow to easily move down the path. Paths along the side of the home are ideal for leading you to and from the front and back yard. 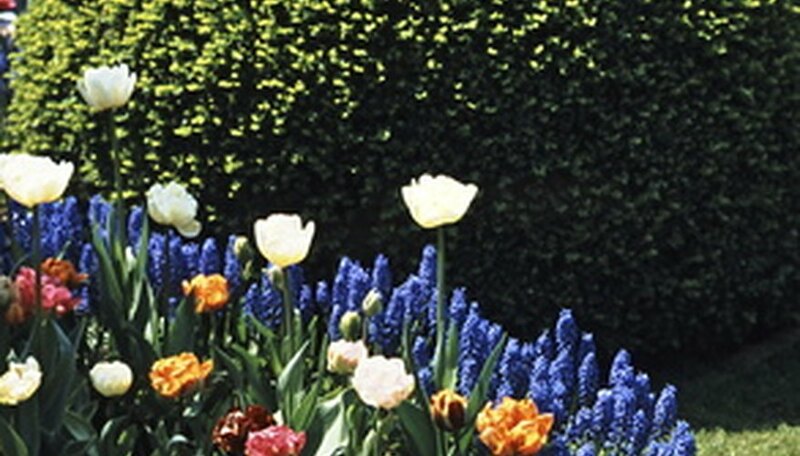 Along the path, add another layer of beauty by planting flowers. Perennial flowers tucked along the path help to build a permanent and long-lasting landscape design. Because they come back each year, the path will evolve over time. Pergolas are a way to create an outdoor living and dining area in a back yard. These structures are made in a wide range of shapes to fit any size landscape. When you have a pergola, adding a vine is the ultimate in landscape design and beauty. Vines weave up and around the pergola to create a shaded, lush and colorful roof to the structure. There are dozens of rapidly growing vines with vigorous blooms that will have the pergola covered in no time. Vines like morning glory, trumpet flower, jasmine and wisteria are just a few. These vines have colorful blooms and vibrant green foliage that create a statement to the landscape. Other vines like bougainvillea have thick blooms and foliage that drape over a pergola with grace and elegance. 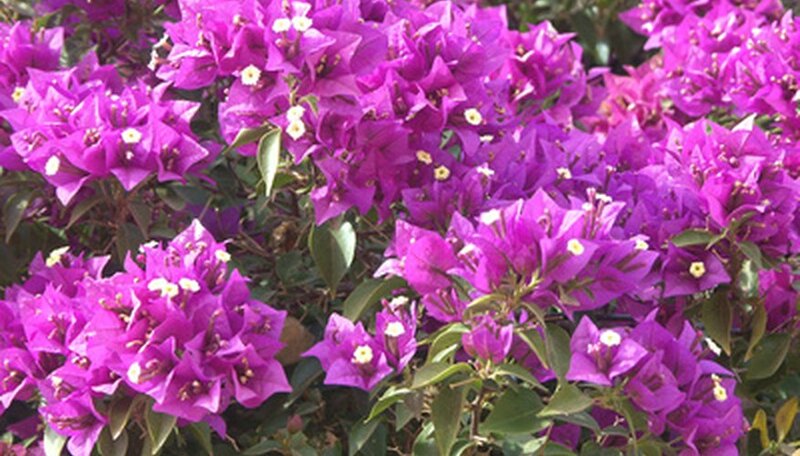 Bougainvillea is grown in a wide range of colors, including white, salmon, pink, red and purple, for a colorful landscape presence. Ornamental grasses bring to the landscape an unfussy, cascading plant that is also drought-tolerant. Grasses like fountain grass help to create flowing borders and break up color within a perennial garden. The simple green foliage grows in an upright, open form with draping, graceful leaves. Grasses are also low-maintenance and require less water than most plants. 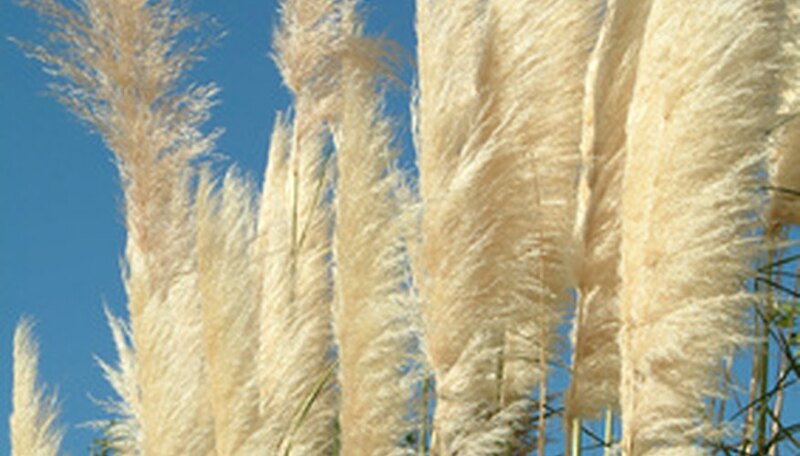 Blue oat grass and pheasant’s tail grass are varieties of perennial grasses that shoot up each year fuller and taller. Ribbon grass is another hardy grass to grow along a walkway or sloped bank to help with erosion control while adding texture.The white, billowing form of ribbon grass creates a highly visual addition to the landscape. Ornamental grasses are also idea tucked into containers filled with other plants to create a striking design.